Digital Transformation – Must Modernize! Recent discussions around modernization as a smart IT transformation strategy suggest a strong market trend towards Modernization. Before we look at a new study, let’s remind ourselves why organizational transformation matters. Take a look at these three groups of companies and organizations. – All of the companies in Group A were in the Fortune 500 in 1955, but not in 2014. – All of the companies in Group B were in the Fortune 500 in both 1955 and 2014. – All of the companies in Group C were in the Fortune 500 in 2014, but not 1955. Now for the staggering fact in all of this. If you compare the Fortune 500 companies in 1955 to the Fortune 500 in 2014, there are only 61 companies that appear in both lists. In other words, only 12.2% of the Fortune 500 companies in 1955 were still on the list 59 years later in 2014, and almost 88% of the companies from 1955 have either gone bankrupt, merged, or still exist but have fallen out of the Fortune 500. What this study plainly shows is that failing to keep abreast of market and technology change is a hugely risky strategy for even the world’s largest organizations. Modernization: can’t see the forest for the trees? Recognizing the need to be ever-changing is one thing, modernizing IT systems in a state of perpetual reinvention is quite another. To test the latest market appetites, Micro Focus commissioned Forrester Consulting to undertake a new study. 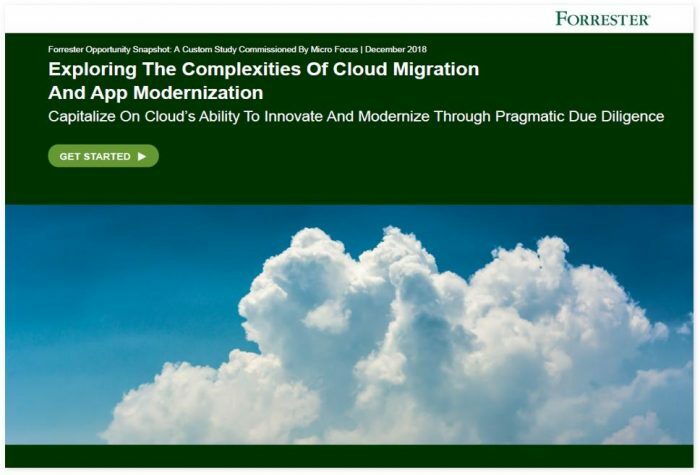 A new report, Exploring the Complexities of Cloud Migration and App Modernization, outlines the results of a brand new global IT industry study on this important topic. Conducted by Forrester Consulting on behalf of Micro Focus, the report will be made available in the coming weeks. Unsurprisingly perhaps, the overwhelming evidence in the report showed a strong market belief in using the Cloud as a major component of a success digital transformation strategy. Variances around platform, location and application type notwithstanding, the mainstream nature of Cloud is heavily echoed by the study’s results. More specifically, the Cloud is also being strongly considered by a large sector of the marketplace as an enabling technology for application modernization. Not just as the underlying platform, but also as the means to improving the throughput of change or the means of providing a more flexible deployment capability. A further important observation is the reality-check that the market is giving about Cloud adoption. 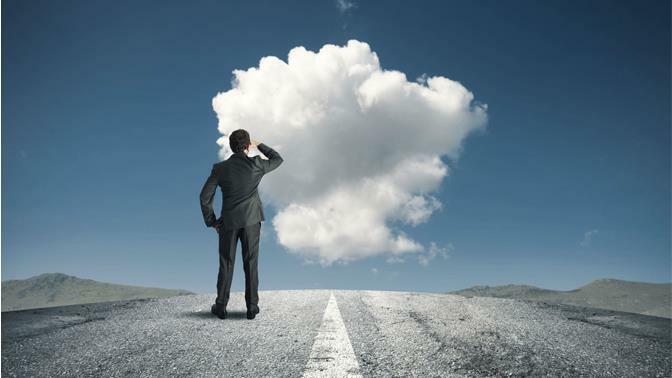 Moving to the Cloud has considerable benefits and merit, but it is a journey that must be planned carefully and comprehensively to avoid certain pitfalls and challenges. One key element of that Cloud planning necessity is around the alignment of all requisite elements – namely the staffing (and skills), the processes (which might have to merge across teams and technology stacks), as well as the technology itself, which will be changing in a number of ways (applications, data, software and hardware). But possibly the most telling outcome of the study is the emphatic perspective that modernization strategies are wholly possible through an incremental approach to change, and that Cloud as an enabling technology offers a very positive opportunity to that approach. The paper, including the detail to support the observations above, will be published in its entirety in due course. Our February 27 2019 webinar, presented by Micro Focus and Forrester Consulting which is now available on-Demand provides some additional colour to the report itself which you can download from here. For more information on Micro Focus’ Modernization story, see www.microfocus.com/amc join us at one of our upcoming events or find me on Twitter for a chat.